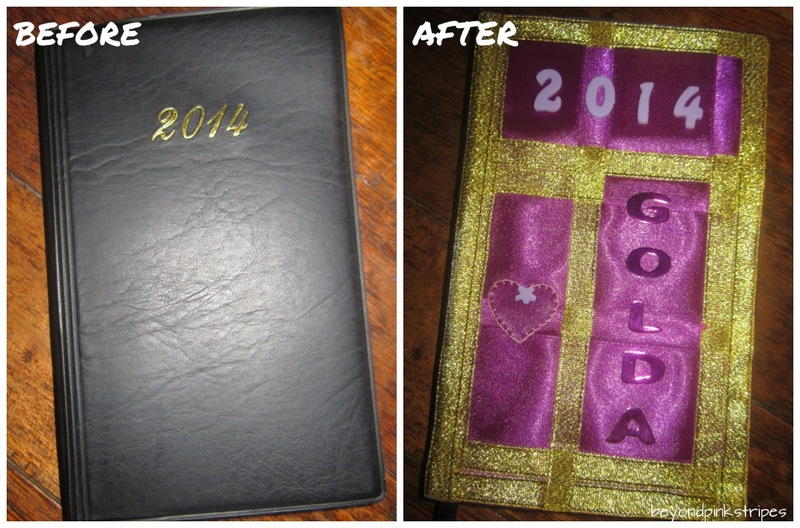 Unlike its "predecessor" which is more on the cool pastel side, the cover of my new planner screams of sparkle, shimmer and all that! It might be too lustrous for some but, hey, that's how I want my 2014 to be. :) I want to "radiate" endless energy and enthusiasm to be able to take giant leaps in reaching my goals and accomplishing even those I haven't had courage to do before. The color scheme is also reminiscent of our wedding motif. I hope 2014 will be another fruitful year for our marriage, in whatever means possible. 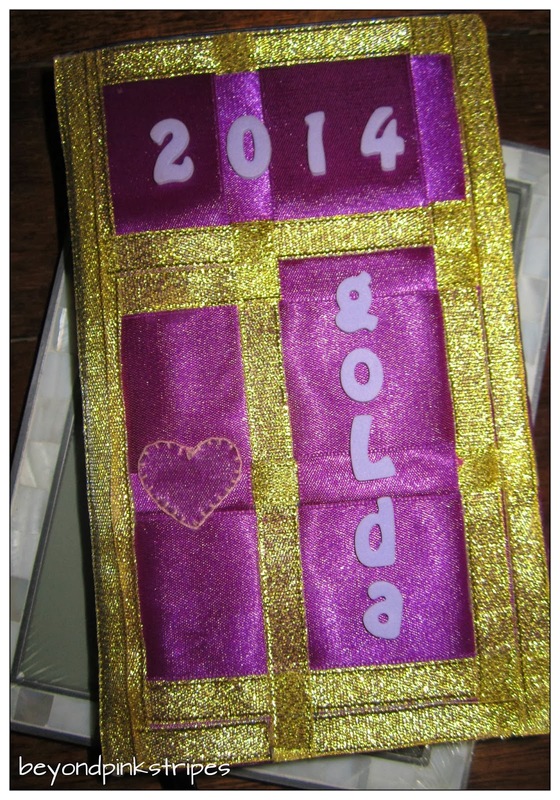 As for the gold ribbon, it also signifies me, Golda being my name haha. It simply means that one of my aspirations for the coming year is to have more opportunities to express my individuality, my skills and whatever that would speak of who/what I really am, sans fear of rejection or indifference. Finally, the heart on the cover denotes my yearning to give more love and care to family, friends and just about anybody in my own little way. Of course, such would not be possible without first acknowledging God's great love for humanity. So that's my final artwork for 2013. More than a visual masterpiece (or at least that's how I perceive it lol), it is an unabashed display of my heart's desires for 2014. May all of these (and yours too!) come true, God-willing. I love the concept and the design.